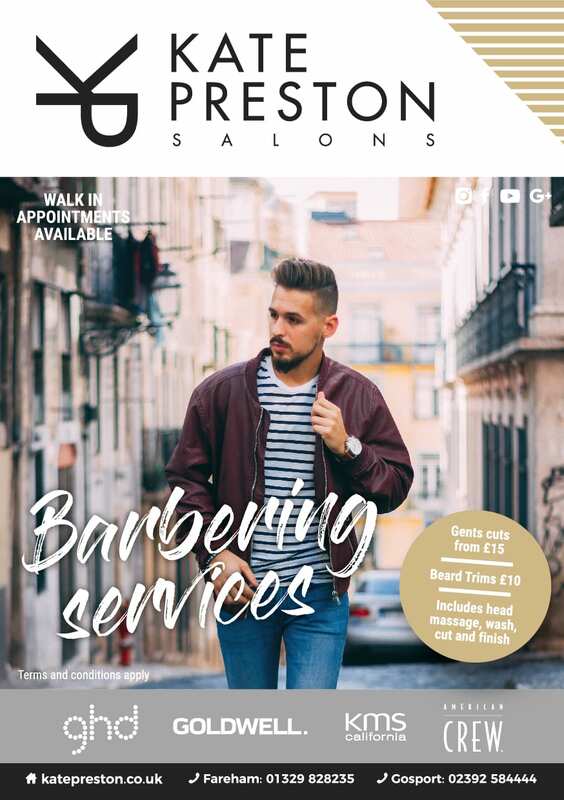 At Kate Preston’s we have specialist barbers and gentleman’s hairdressers for every look and style, catering for all ages. We also offer a bespoke grey blending coverage by American Crew which fades to tone with no brassiness in just a five minute application with natural results! Cutting mens hair is not a chore or a bore here at Kate Preston Salons. We enjoy cutting mens hair, creating new looks, keeping things how you like them and mainly giving you a haircut and experience that you’ll love. We have a large team to accomodate your schedule needs and offer a fantastic customer experience leaving you feeling revived, refreshed and looking good.